Folding tables—matted with posters advertising an array of clubs—surround the putting green, and student leaders entice underclassmen to write their names down. Mr. Bob St. George is in full, hockey gear in front of a goal post, Meditation Club has scarlet cushions laid out in front of the steps of the Study Hall, and Elliot Schiff ’16 is brewing some delicious tea. Orren Fox ’15 is modeling his beekeeper suit, Animal Rights Club has stuffed animals spread out, and Math Club has various, baffling puzzles strewn about. Trail Work even has some pickaxes and shovels for visitors to wield. The fair was the school’s first—and certainly not its last. Clubs were successful in luring members and creating long email lists of names, but the question remains: was having a club fair productive? Historically, club heads would stand up at Assembly and briefly mention what their club did, how to get involved, and an upcoming meeting or project, but what was said was often forgotten. Ms. Sabina McMahon, Dean of Students, was excited about the club fair prospects. Show their enthusiasm they did: upperclassmen and underclassmen, alike, were met with avidity, and many signed up at even the slightest inkling of interest. By the end of the fair, clubs had extensive email lists. However, many who signed up did not attend any club meetings. 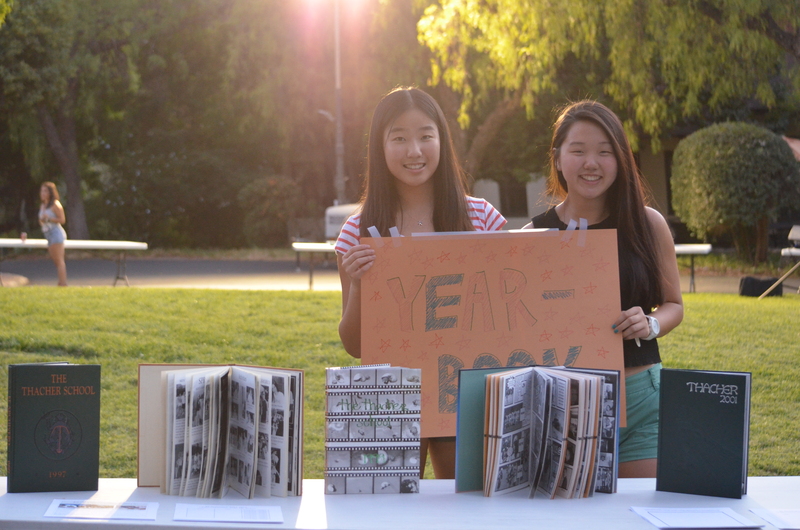 The club fair ultimately failed to bring a significant rise in club participation. Ms. McMahon believes one reason for the lack of participation is simply a matter of students finding time to find their niche. Ms. McMahon also expressed that she and student leaders organized the club fair with the intention of informing the student body so students interested in a club had all the information they needed to get involved. At the very least, those who were not interested in joining any clubs understood what clubs did. Mr. Joel Sohn, advisor the the student newspaper, also felt that there were other factors to increasing club participation. Hopefully, as student leaders prepare for next year’s club fair, clubs will have more time to organize events and utilize email lists to increase club participation. May next year’s fair be the best yet! Next postThe New Social Experiment: How Well Do Thacher Students Adjust to College Life?